CooksRecipes has quality, kitchen-tested recipes for diabetic-friendly appetizers and snacks that you can count on for accuracy and deliciousness. 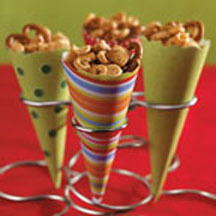 When stored in an air tight tin, you'll enjoy days of snacking. 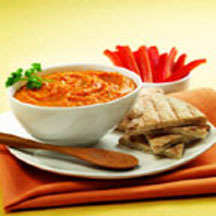 A healthy and delicious dip to serve at any party! 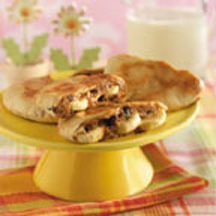 The kids can help mix together the peanut butter, chocolate chip and raisin filling, then let them fill the pita breads and add slices of banana before cooking these snack time treats.